Can’t Wait to Catch Better Call Saul on Netflix? Fans around the world cried at the end of summer 2013 when the final instalment of hit AMC show Breaking Bad (titled “Felina”) was aired. It was the end of a 6-year (7 season) era of crime and the last time we’d see the likes of Walter, Jessie, Walter Jr., Skyler, Hank, Marie and fan favourite Saul Goodman on screen. We are super excited indeed. This show is one of the most anticipated television series set to hit the air in 2015. Best, we’ve all been promised we can watch Better Call Saul on Netflix sometime near the middle to end of the year, just a week or two after the first season finale airs on AMC. This isn’t one of those all-to-typical “U.S. Netflix Users Only” deals that many users in Europe, Asia and Canada have come to dread over the years either. Netflix has assured fans that the new drama (produced by Sony TV Pictures) will air on all Netflix boxes as soon as the first season concludes on AMC. Such deals are rare in TV land, with so many greedy networks holding on to the rights for new seasons of their shows in order to re-run them again and again to exhaust advertising revenue before releasing them to Hulu Plus and Netflix subscribers. Yay for AMC, Sony TV, and Netflix! While details of the series are being kept closely under wraps by creator Vince Gilligan and crew, it appears that if fans even remotely like the premise of the show, we can expect to see many more seasons past the first and now second. Series co-producer Peter Gould recently let it slip that they have already filmed 23 episodes! Better yet, the production delays (the show was originally set to air on AMC in November 2014) have been due to some serious promising changes to the entire plot line of the show. Even though fans know little about what Jimmy Gill (aka. 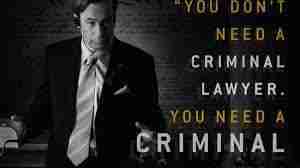 Saul Goodman), Mike Erhmantraut and crew will be up to; it appears that writers and producers may well have turned this into more than just a prequel. Saul and crew will apparently be bouncing through various timelines including pre-Heisenburg times (ie., prequel), and flash-forwards during the actual events of Breaking Bad and even the events after Walter White’s death! This is exciting news for fans of Breaking Bad, as we may well get to see what happened in the aftermath of the highly-rated Felina episode. Since the timeline’s flexible, we’ll hopefully get to see Walter White (Bryan Cranston) again, perhaps before he became the notorious cold-blooded brim-hatted Heisenburg. The writers might also show him during his reign, through the eyes of Saul himself to give fans a different perspective than what we’re used to. Cranston has indicated interest in coming back to the show though neither he, Gilligan nor any agents of theirs have confirmed anything as yet. Jessie Pinkman fans shouldn’t get too excited though, as although actor Aaron Paul claimed to have had “serious talks” with Gilligan and crew about reprising his role, he recently told Huff Post staffers that he would not be returning. This shouldn’t come as a shock, since he may well be on the path to becoming a blockbuster movie star after the success of the first instalment of Need for Speed last summer – a series that appears to be destined for similar success to that of the Fast N’ Furious franchise. Dean Norris, who played Hank Schrader in Breaking Bad, has also indicated that he won’t be bringing his former DEA officer character back to life, due to filming constraints from his hit show Under the Dome. So other than Saul and his henchman Erhmantraut, fans really don’t know who to expect in this prequel (or whatever it will end up being known as). Anyone and everyone can show up in any given episode, giving fans much more to look forward to as the Netflix premiere date inches closer. 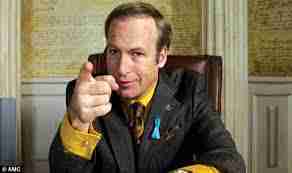 So when will we finally be seeing Better Call Saul on Netflix? Provided AMC and the show’s producers actually stick to their guns with regard to the February 8, 2015 premiere date, it’s conceivable that Netflix users and Saul Goodman fans will see the entire first season air sometime in early summer 2015. Not yet a Netflix customer? Read our ultimate guide on how to get Netflix free for 30 days. Stay tuned for more updates as they come to light. But make sure you check out the latest teaser trailer below. Related: Is Marco Polo Worth Watching?